With the advent of internet, modern day businesses have taken a great turn in the way of marketing their products and services. Now, various organizations started using direct email marketing strategy to specifically target their potential customers who want their products. B2B marketing strategy helps you to cut down unnecessary costs of marketing your product. With this strategy, you can have higher chances of increasing the sale with each approach you make. For instance, someone searches about electronic gadgets repairs and the other one searches for air-conditioning repairs. Being a Smartphone repairing service company, you will approach the people who have searched for Smartphone repairs. Email marketing services work using the same strategy. This service will mail only a potential customer who needs your particular service. This increases the chances of utilizing the cost to approach and make a sale. Internet marketing can be a crucial aspect to boost your business growth. 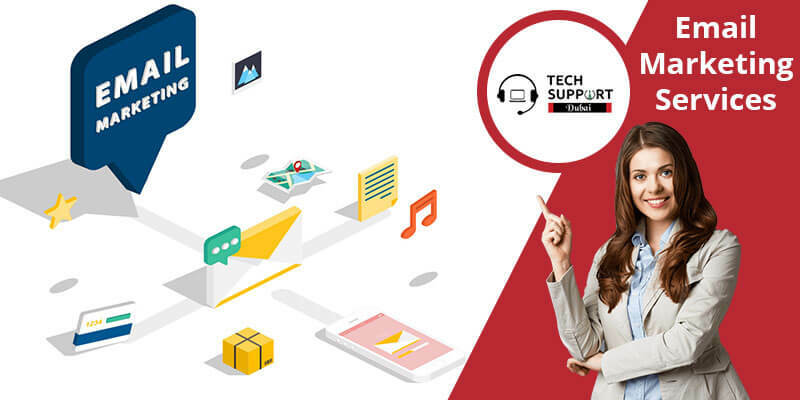 To make the most of it, you should contact the experts at TechSupportDubai on the helpline number [….] to know more about direct marketing services. Lower cost: With Email marketing, you can reduce the cost of introducing your business to a potential customer with higher chances of getting a sale of your product or service. Deliver intended message: You can engage your customers about your product by saying exactly what your customer wants to hear. Direct marketing technique makes your approach very specific so that people who don’t want your service and don’t have to get bored of listening about your product. Easy to share: People can recommend your service easily by just forwarding the email to the person who needs the services that you provide. This helps in effective utilization of your internet usage. Global market: No matter if your customer is from other countries, if you are able to deliver your services there, then you have business in other countries as well. Internet helps you to reach customers all over the world without any extra cost. Measuring expenses: It is easier to measure the cost and profits out of direct marketing service you are using. It helps you to see where it is going wrong or what is the key strength of your strategy. Most email marketing services will allow you to track click-through and conversion rates, which makes it simple to spot how a campaign can be improved. We have the track record of getting the highest number of positive feedback from our customers each week. The services are we provide are secure and will give visible results in the growth of your business. Call us at our helpline number and connect with our executives to know more about Email marketing services that we would like to offer. We are available 24*7 on our new and improved chat support services in the case calling is too boring for you. Our services are aimed to make your business better by boosting your online visibility. We also provide Windows app development service in Dubai.